Halls Hill was inhabited by former slaves and some free black people following the Civil War. Although black people who were slaves in captured Union territory became free after the Emancipation Proclamation issued by President Lincoln in 1863. Halls Hill was known as “Halls Plantation,” prior to the Civil War. 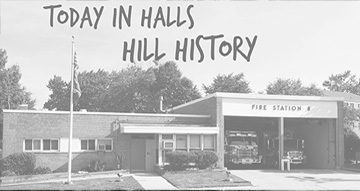 Halls Hill was named for its location—a high hill in what had initially been Alexandria County—and the original property owner, Basil (also spelled Bazil, in some writings) Hall. Hall, a white man born in 1806, purchased 327 acres of land in 1850 for approximately $5,000 and started a plantation. Like most plantation owners in Virginia prior to the Civil War, Hall owned slaves to provide manual labor to work the land and animals. The Halls were well known for the brutal way they managed their slaves. One of their female slaves, Jenny Farr, reached her breaking point with Hall’s wife, Elizabeth. She threw her in the hearth, murdering her. Jenny was convicted and hanged on February 26, 1858. Hall remarried, and the plantation thrived until the South addressed the issue of slavery. Virginia had voted to secede from the union, and although Hall voted against secession, he did not fare well during the Civil War. His property was the site of many Confederate and Union troop skirmishes, and in August 1861, he fled his home. The Union Army used the site as a camp for the remainder of the war. Following the war, Hall returned the plantation, which was staffed by laborers. Many of them were freed slaves who lived in rented shacks on the plantation. Hall continued his cruel treatment of the black people who worked on the plantation and was eventually charged with assault and battery and inhuman treatment of black people in his employ in 1866. In the post–Civil War era, the courts in Virginia would not hear any cases brought against white people if black people were the persons harmed. The federal government had established a military court with a provost marshal to adjudicate these cases. Despite sufficient evidence, Hall’s attorney convinced President Andrew Johnson to intercede in the matter. Johnson directed the military provost to drop the case and have it addressed in civil court. Of course, no court in Virginia would proceed with the case, so Hall was never punished. Hall attempted to sell his land as one lot in 1872 but was unable to make a deal. He then began to sell smaller lots of property to white men. These men established farms using black laborers, who rented shacks on their respective farms. Black people inhabited Halls Hill, but it wasn’t until November 9, 1881, that black people were able to purchase land. Hall sold one acre of his land to Thornton Hyson and Charles W. Chinn for $108 and continued to sell his land to black people until he died in 1888. One other black man, a former slave named Moses Jackson, owned property on Halls Hill in the 1880s. Jackson’s owner gave him the land on what became part of Halls Hill upon his freedom. There are many descendants of the Hyson, Chinn and Jackson families that lived in Halls Hill for generations. A few still reside there now. 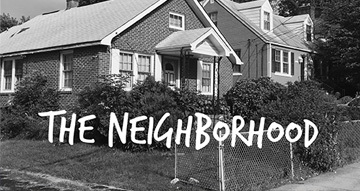 Did you know the about these black men that purchased property to start building this neighborhood? The Neighborhood: Where is the Apostrophe, Wilma?! For as long as I can remember, there has been a debate about Halls Hill versus Hall’s Hill among community members. I made a self-publishing decision that may irritate the grammar police. I am aware that the word should have an apostrophe to show possessiveness. However, on this project I decided to follow the direction of the older generation in our community. The county government funded community art projects in the early 2000s. Our neighborhood project, Memory Bricks/The Family, was created by Winnie Owens-Hart in 2004 as the welcoming gateway to our neighborhood. During the design concept stage, the John M. Langston Citizens Association held a brainstorming session, led by Ms. Hart, with the community. My dad and I attended with about 50 other residents. The question was raised whether to include the apostrophe or not. The overwhelming consensus was to eliminate it. I continue to honor that decision with this book and the Halls Hill project. That’s how I think my daddy would have liked it. What are your thoughts? Do you write Halls Hill with or without the apostrophe? 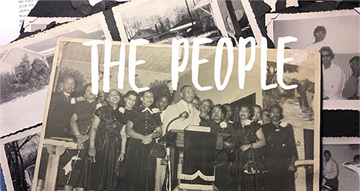 The People: Rev. James Eugene Browne, Sr.
Rev. 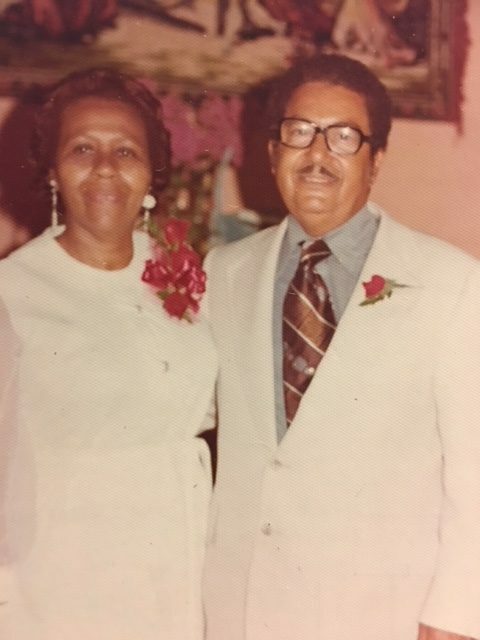 James Eugene Browne, Sr. The Rev. James Eugene Browne was the assistant pastor of Mount Salvation Baptist Church when Rev. N.R. Richardson was the senior pastor. Rev. 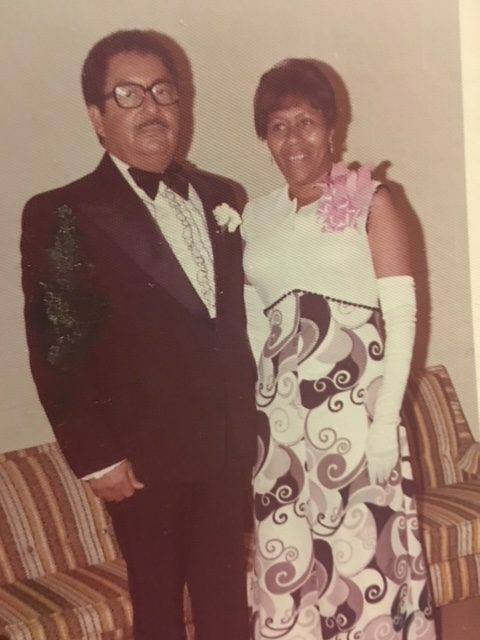 Browne and his wife, Hazel initially resided in the Cherrydale community in when they came to Arlington from Texarkana, TX. Rev. Browne spoke about the racism and influence of the Ku Klux Klan in Cherrydale in the 1930’s in the period when they first came to this area. The family eventually moved to 2011 North Culpeper Street in the Halls Hill neighborhood. They had two children, Lillian Browne Fernanders and James E. Browne, Jr.
Rev. Browne often told the story of the Halls Hill streets not being paved when they initially moved to the neighborhood. This caused his shoes and pants to be dusty and dirty if he walked to the church. As a result he drove each week, even though Mount Salvation was only a block away. Rev. Browne led youth groups at Mount Salvation in their activities with the Northern Virginia Baptist Association, taking them on many trips across the state and southeast region for conferences and events. Mrs. Browne was the manager of the Langston elementary school cafeteria for many years, and she also ran the summer playground programs for Arlington Recreation. Rev. Browne was a former president of the John M. Langston Citizens Association, the neighborhood civic organization on Halls Hill. He was also very active in the Arlington NAACP, serving in leadership roles for many years, including president during the fight for school desegregation in the late 1950’s. What memories do you have about Rev. and Mrs. Browne from Langston elementary school, Mount Salvation church or just in the neighborhood?